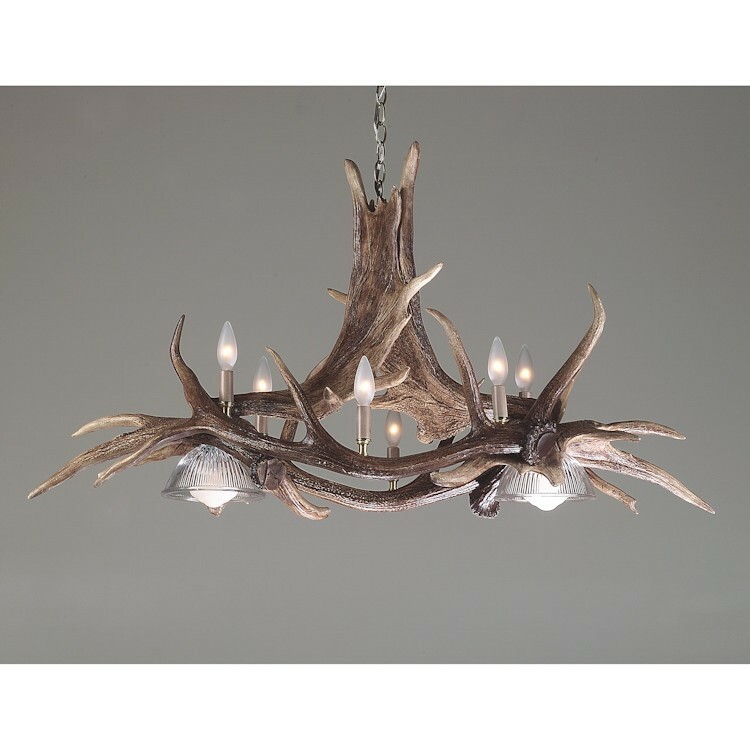 The Majestic Moose and Elk Faux Antler Chandelier features elk antlers that form the base of this chandelier and hold single candle lights as well as two down lights. Then moose antlers are used to complete this unique light. Injection molded from real elk and moose antlers.